Our Fat Loss For Busy Women Program is launching soon! Stay tuned for our official date. Be on the VIP list! Subscribe below and be the first to know when our program is live! Guiding You to A Healthier, Happier Life! 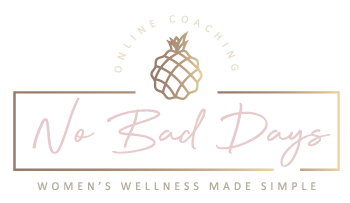 No Bad Days Online is an online health and wellness website, dedicated to helping women gain strength in mind, body and soul. Each program is designed and lead by Health Coach Jolene Fisher and made for the modern woman and your lifestyle! If you have been looking to make a change, you came to the right place! On our programs you will never lack motivation! Check your inbox every week and follow along with your goals and reminders to connect with us online. Designed for your calorie needs, that work with your program, and recipes designed your shopping list included. Sharing your experience is key to success. Gain exclusive access to our Facebook Community where you will find women in the same program and direct access to your coach, Jolene. Never do the same workout twice! 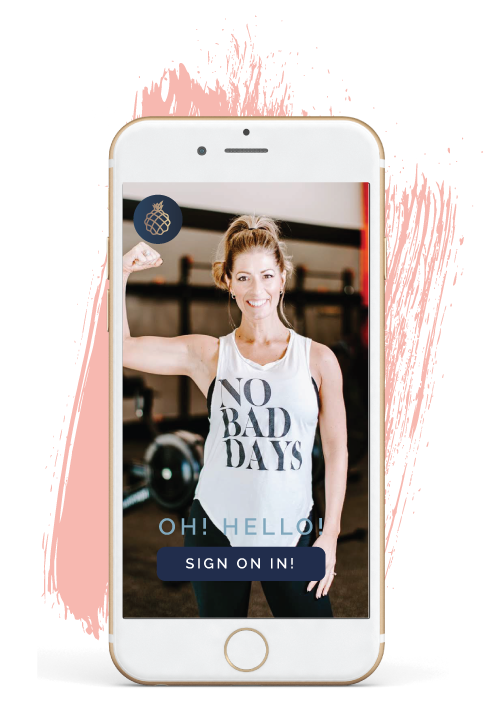 With our mobile app access you will have fitness at your fingertips. Upload your progress photos, send direct messages and view live workouts. Tired of the diet rollercoaster? I’ve taken the stress out of planning your meals, workouts and keep you accountable! This is what I do best and it is what I LOVE! I have been in the health and wellness industry as an educator, where I found my passion for helping others. A healthy state of mind, a body you love and a soul that yearns for greatness, sign me up!! I didn’t always feel this way though. I’ve lived on the roller coaster of dieting, had the soul sucking relationships and jobs that robbed me of my joy and from time to time lived with a limited belief of myself that kept me paralyzed in fear. Does this sound at all familiar? If so you’ve found yourself in the right place. I want you to find your joy in living, seek out true and good relationships, love the body you were given and believe in yourself, the power you have deep within to manifest an abundant life. Freedom starts with mindset! My coaching programs will introduce you to a healthier way of eating and give you workouts to reach your goals but more importantly will help you unlock the mindset that bring you closer to your vision of freedom, whatever that looks like to you.